Putting Huddersfield on the Map! We’ve been around for such a long time up ‘ere in glorious Huddersfield. 130 years to be precise and are extremely proud of our Yorkshire roots and values. 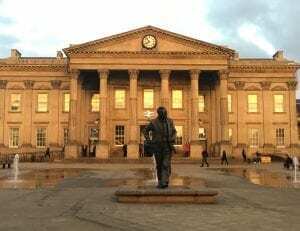 If you’re not from Yorkshire you may not know much about Huddersfield apart from the fact that it’s t’up North somewhere. Most importantly it’s home to our delicious Shaws chutneys and relishes. We think it’s a little hidden gem tucked away in the rolling fields of Yorkshire. It boasts some quite amazing facts that you may not know about…. 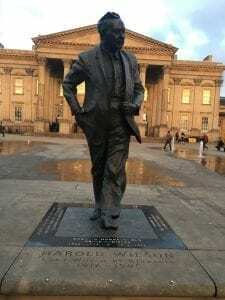 1) Lord Harold Wilson, winner of four general elections, was born and raised in Huddersfield. there’s even a pub named after him & a statue in the town centre. 2) We’ve had a host of well-known actors born in the area including the extremely world famous. Sir Patrick Stewart, Game of Thrones actress Lena Headey, Gordon Kaye who played Rene in Allo Allo and Jodie Whittaker the new lady Doctor Who! 3) Cycling is massive in Huddersfield with the Tour de Yorkshire and local hero Ed Clancy, British Cycling champion. The town received a golden post box when he won yet another gold medal at the Rio Olympics. Having started the sport when he was just 5 years old he grew up and trained in Huddersfield. 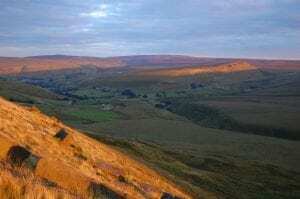 Yorkshire and its rolling hills provides the perfect environment for cycling enthusiasts. 4) Huddersfield is also the home of Rugby league – the town actually invented the sport back in 1895! It is also the only Yorkshire town to have a football team in the Premier League. 5) There are over 3,000 listed buildings in Huddersfield. The third highest number in the country, and over 200 of them are in the town centre. Huddersfield is also part of Kirklees council and covers a whopping 254 square miles of space – 72% of which is green belt land. Such a lot to shout about Huddersfield! The local people from the town have a strong sense of identity and pride about where they come from too. That’s exactly how we feel about our chutneys and relishes. We believe in delivering proper tasty products of the highest quality to our lovely customers and, in true Yorkshire fashion, at a fair price!